Creating cartoons is a form of self discipline. At least for me. An unusual form of “escape”, to say the least. More over, it’s my bread and butter. My chosen profession so to speak. Those creative souls or anyone with an artistic “bent” or drive will tell you they always need to get back to the drawing board. There are times I experience “cartoonist’s block” which is similar to writer’s block….not just the inability to come up with actual ideas, but the creative level required to actually create work is at a low level. 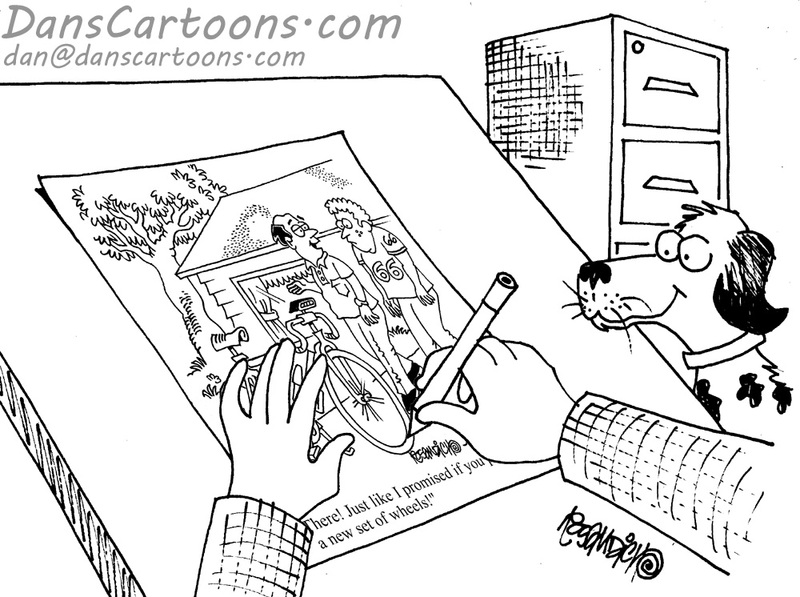 I’ve learned over time that a creative drive or a cartoonist’s level of creativity experiences ebb and flow. To maintain a constant or a consistency, one must infuse some diversity into their creative work outs. For me, it’s relatively simple. I try not to dwell on just one “look” or appearance that pertains to my drawing style. Of course it’s important to actually develop a recognizable or consistent drawing style. But it’s also good (at least for me), to go off on other tangents….drawing or sketching faces I pull from magazines, books or off of the internet. Other forms of inspiration could be a collection of cartoons that have a distinct drawing style you enjoy and appreciate. 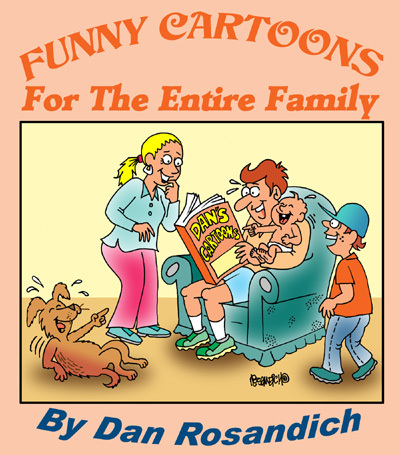 Look at cartoon anthologies and sift through clippings that offer a variety of cartooning styles. 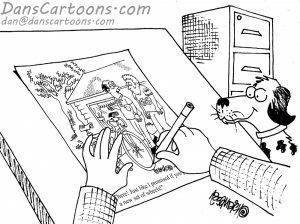 Comic strip collections of your favorite comic strip creator are yet another way to get your creative juices flowing. Use different drawing tools too! Don’t stick with just one implement or pen. Mix things up a bit, and try to use different styles to see what your creative urges are accustom to generating! It’s alot of fun to experiment because once you get back to that blank piece of paper, you’ll see things fall into place.